Before starting my 2 week tour of New Zealand, I had a weekend to spend in Auckland. One of the days was spent admiring the city’s skyline and for the other day I opted for a day tour outside. As you know I am all about nature. 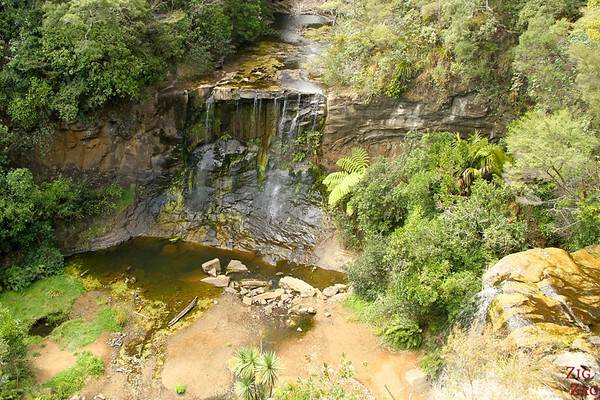 So I chose a tour to the Waitakere ranges with Habitat tours. 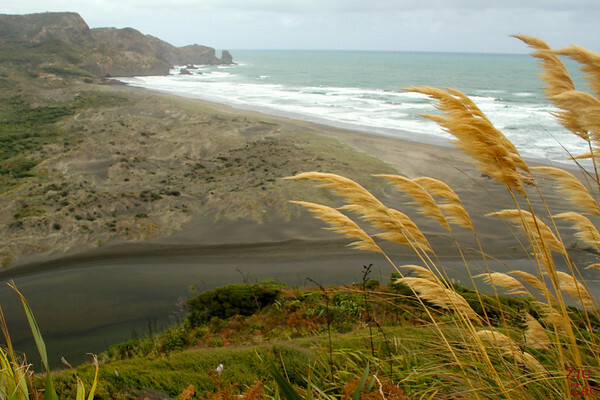 a hidden lake fringed my a massive black sand dune. Activities: Very different sceneries all along the day. Overall opinion: Very satisfied with the company. 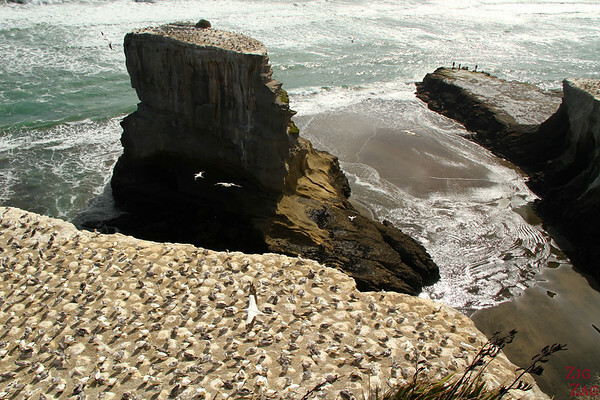 If you want to escape Auckland for a day and learn more about the natural habitats and birds around it, I recommend contacting Habitat Tour. 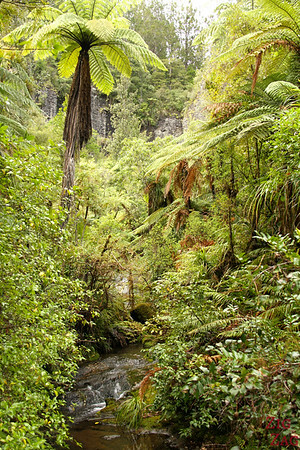 We started by a walk in ancient rainforest, learning about berries used for bullets and leaves used for poking by the Maori. 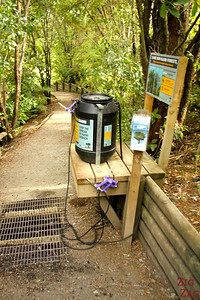 Sadly, the trees are attacked by a spore and we had to spray our shoes before entering. 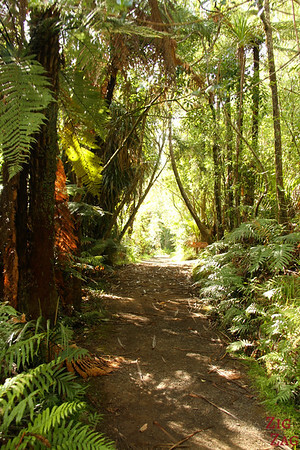 It you like rainforest, I also experienced it in Guadeloupe during a hike under the pouring rain. 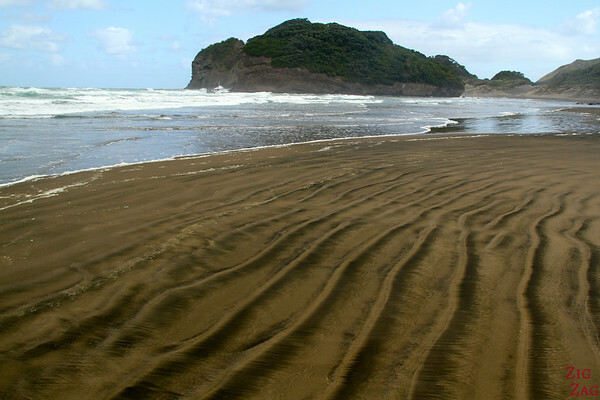 A big change in scenery after that as I went for a walk on Bethells beach. 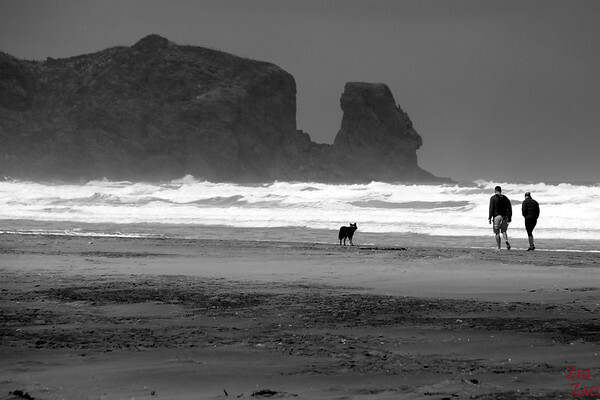 Very windy, but it was nice to be away from the tourist and walk for the very first time on a black sand beach. Although it does not look that black on the photos I concede. I enjoyed it, but nothing bits the Jokulsarlon black sand beach covered with Icebergs in Iceland. 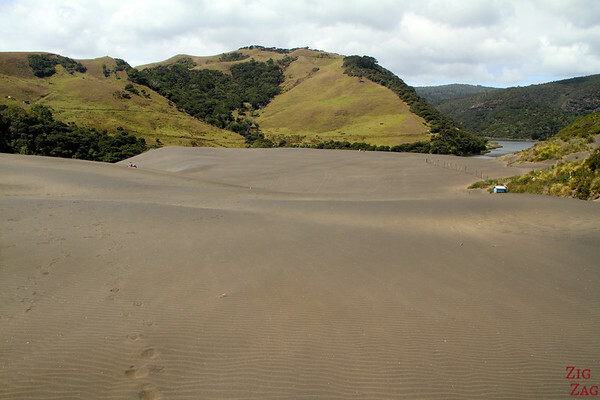 Not far away from Bethells beach, there is a sand dune surrounded by green and a lake. We climbed up there and I really enjoyed the contrasting landscape. 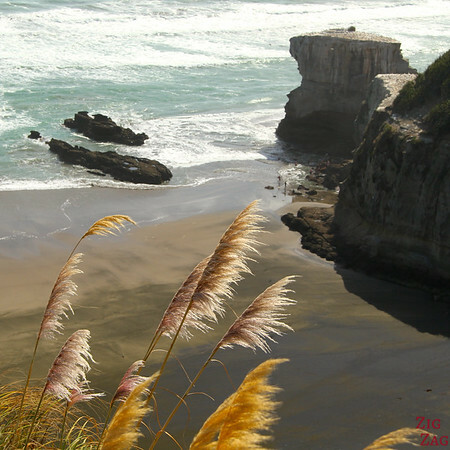 The black sand was sparkling whenever the sun was getting out! 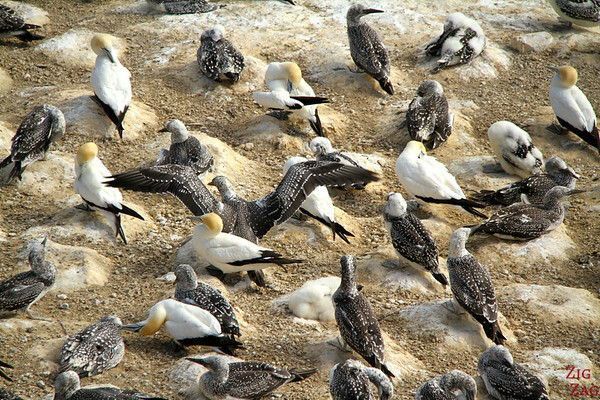 The last stop was a very smelly spot where we could observe a colony of gannets. A nice end to the tour. 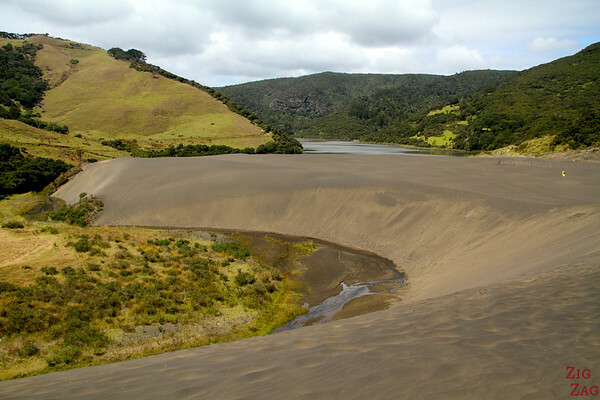 Have you ever seen black sand dunes?